ON Shift–To Workout or Not? Do you workout on shift? Should you workout on shift and what is the best workout to perform? Here is my take on the question. We all know that when the bell goes off the fire rescue athlete MUST be ready to perform. 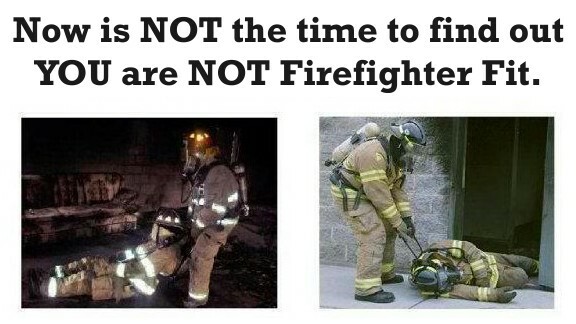 With that in mind, it doesn’t make a lot of sense to perform a grueling workout on duty. I personally prefer some lighter cardio interval training, some core and/or rehab exercises, foam rolling, and stretching. Here is a great example of a “planned” week of workouts for the fire rescue athlete. 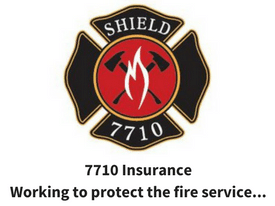 This is similar to the weekly schedule found in the FRF Ultimate Fire Rescue Athlete Program. FRF Fullbody Strength or Metabolic Workout- This type of workout challenges all muscle groups including the core. Metabolic workout has short intervals and more power movements, strength workouts utilize longer rest intervals and heavier resistances. 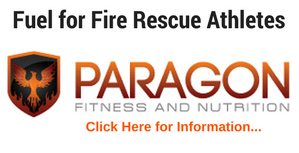 Fire Rescue Fitness Fullbody Strength or Metabolic Workout- This type of workout challenges all muscle groups including the core. Metabolic workout has short intervals and more power movements, strength workouts utilize longer rest intervals and heavier resistances. Firehouse Shift- Cardio Interval and foam rolling, possibly some fire-ground circuits. FRF Fullbody Strength or Metabolic Workout (like a workout from FRF Ultimate Athlete)– This type of workout challenges all muscle groups including the core. Metabolic workout (FRF Rapid Fat Loss Workout) has short intervals and more power movements, strength workouts utilize longer rest intervals and heavier resistances. Obviously everyone’s schedule is a little different, I included the following Sunday to set up the next week where you may not have as many shifts. The main idea is to plan your workouts to help you continue to work towards your fitness goal and to “be ready” on-shift. If you are currently spinning your wheels about your workout plan or are looking for a new plan? 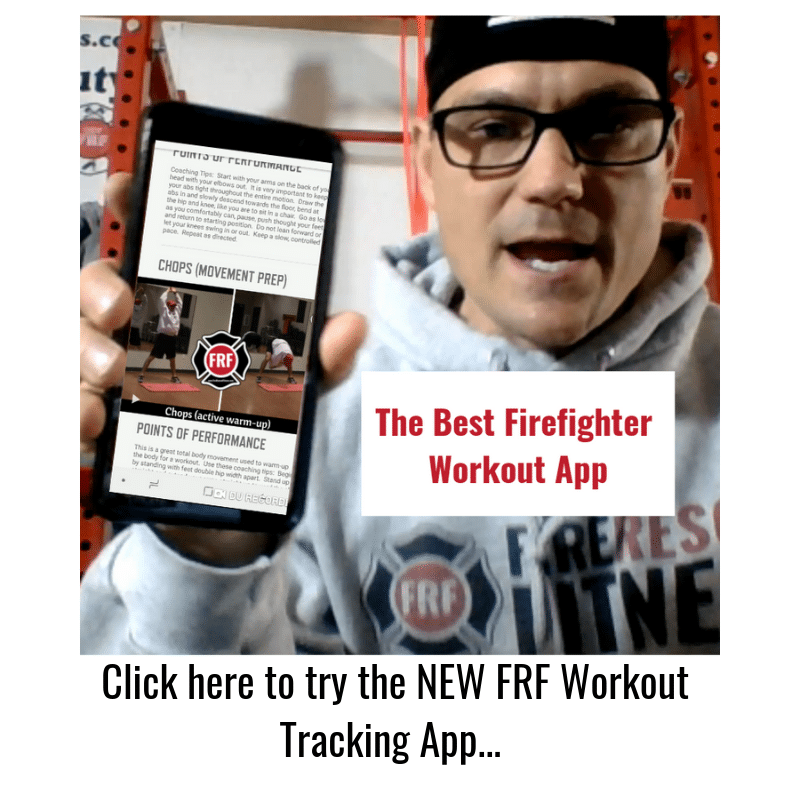 Take a look at the FRF Ultimate Fire Athlete Workout…I think it is the most efficient and effective workout for fire rescue athletes. Please leave some comments and as always email me with questions.